Just like the iPad Pro models, the handset packs quad speakers, one for each corner and a special rotating crown button (or two), that feels like it’s taken from a watch. 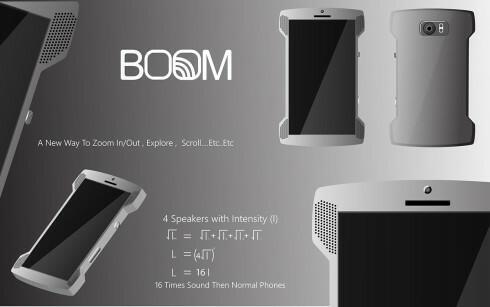 The maker of the phone (designer Saksham Mahajan) promises here 16 times the sound intensity compared to “normal” phones. The chassis seems quite massive and believe it or not, such a design actually exists. The exact same format, albeit larger was applied to the Acer Predator 8 gaming tablet. Since I played with one recently, I must say that the problem is that the angular design feels very sharp and unpleasant to your hands, sometimes even leaving marks.